Silas Young was the Last Real Man Standing after his rematch with Kenny King, and is now a two time ROH World Television Champion, and now he puts his title up against Flip Gordon! Can the Captain of #FlipArmy grab his first title against such a grisly and gritty opponent? 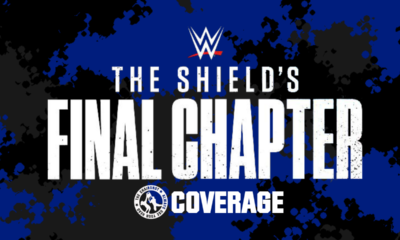 Plus, all the aftermath of Supercard of Honor! Chuck Taylor VS Josh Woods; Taylor wins. Stella Grey VS Sumie Sakai; Sumie wins. ROH World Television Championship: Silas Young VS Flip Gordon; Young wins and retains the ROH WTV Championship. 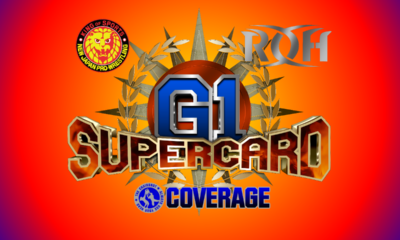 ROH takes a look back on all the action of Supercard of Honor XII. In the Last Man Standing Match, Silas Young and Kenny King went all out to settle this grudge between them. However, Silas has friends in low places, and The Beer City Bruiser helped screw Kenny out of his title by tying his feet! We have our inaugural WOH Champion, Sumie Sakai, who gives Kelly Klein her first loss by pinfall. SoCal Uncensored retained the World Six Man Tag Team Championships, but The Kingdom literally stole them! Kenny Omega and Cody Rhodes had it out, but the Young Bucks would join in. Matt and Nick Jackson targeted the American Nightmare, but accidentally SUPERKICK The Cleaner! The Peacock and The Villain fought over the ROH World Heavyweight Championship, and Dalton Castle showed Marty Scurll just how aggressive he could be. And in the end, even after Scurll used every trick he had, Castle would win and retain the title! What, and who, is next for the Peacock? Chuck Taylor VS Josh Woods! The Kentucky Gentlemen has been on a roll in singles competition as of late, both in ROH and NJPW. Meanwhile, The Goods may be Mr. Top Prospect but he didn’t win the World Television Championship with the shot he won. Both men want to gain some ground, who will overcome the other and move towards a title? Both men uphold the Code of Honor and circle with the bell. They tie up, Woods arm-drags Chuckie T down and into an armbar! Chuckie clasps hands to prevent the extension, and gets a ropebreak with the ropes. They separate and Chuckie takes a moment in the corner. He and Woods circle and tie up, Chuckie kicks low. Chuckie puts Woods in a corner a chops, but flexes too soon. Woods grabs Chuckie for knee strikes, and then body shots in the corner. Woods backs up to run back in, but Chuckie gets him with a thumb to the eye. Chuckie goes over to Woods and hits a Russian leg sweep, then drops forearms. He chokes Woods on the ropes, then rakes the back. Chuckie keeps on Woods with clubbing forearms and an arm wrench, into a modified Octopus. Chuckie’s grinning while fans applaud, then he shifts to a sunset flip. Woods stays up and pulls Chuckie up, but Chuckie slips out. Chuck ducks the roundhouse and hits back with an enziguri. Woods staggers, Chuckie drops him with a dropkick. Chuckie has Woods in a corner, whips but Woods reverses. Chuckie goes up and over but runs into the exploder! Woods fires up while we go to break. ROH returns with fans cheering “Chuckie T! Chuckie T!” while Woods stands on Chuckie at the ropes. Woods backs off at the referee’s count, then stands Chuckie up. Chuckie hits Woods with body shots, but Woods rocks him with a right. Woods throws Chuckie again with an overhead suplex. Woods stalks Chuckie, then gets a waistlock for a German Suplex. Pittsburgh fans taunt Woods with chants of “Who’s your barber?” Woods runs at Chuckie in a corner but Chuckie elbows him away. Chuckie boots Woods, too, then hops up for the missile dropkick! The fans rally while Chuckie gets up. He throws forearms on Woods, then whips, but Woods reverses. Chuckie hurdles over him and knocks Woods down with a forearm. Chuckie takes aim from a corner, then runs in, hitting the corner clothesline. He rolls Woods out then climbs up, and hits another missile dropkick! Chuckie fires up and the fans rally behind him. Chuckie takes aim and runs in, but Woods puts him on the apron. Woods ducks a punch to put on a sleeper at the ropes! The referee counts, and Woods lets go. Woods drags Chuckie up but Chuckie hotshots him back. Chuckie rallies the fans as he slingshots, but Woods slips out, so Chuckie just slingshots to the outside! Both men go down but Chuckie is all smiles. Chuckie puts Woods back in the ring, then runs corner to corner but misses. He counters Woods with a knee, then suplexes for the Falcon Arrow. Cover, TWO, and Chuckie is grumbling. Chuckie goes to a corner and climbs up, moonsault! Woods rolls under but Chuckie lands on his feet. Woods lifts Chuckie but Chuckie slips out. Chuckie gets the wristlock and swing out, for Sole Food! Chuckie runs but runs into Woods’ fireman carry, Woods swings Chuckie for the TKO Knee! Cover, TWO! Woods can’t believe it but fans are loving it. The fans rally for Chuckie but Woods stalks him again. Woods grabs the waistlock but Chuckie runs to a corner. Chuckie rolls back but Woods holds on, Chaos Theory German Suplex, with the bridge! TWO, but Woods shifts to the armbar! Chuckie rolls it over to a cover, Chuckie wins!! Woods is stunned by that turn around. He’s frustrated, but reluctantly keeps the Code of Honor with a handshake. Will Woods turn things around from losing to winning? Will the Kentucky Gentleman continue his winning ways towards a singles title? Mr. American Nightmare asks Mrs. American Nightmare, “Who’s your favorite wrestler?” Cody, of course. And his? Dalton Castle. Really? Why? 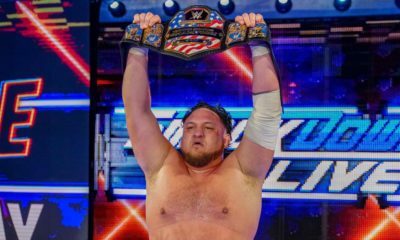 “He needs the fans.” Cody isn’t going to be one of these “keyboard warriors” who write Castle’s title reign as a failure, like Bob Backlund circa 1978. Cody cares about Castle! He did have a great match against Jay Lethal, but Cody has also beaten Jay Lethal. Cody also just beat Kenny Omega, “so where does that leave us?” Brandi motions her hands around her waist. Is she pregnant?! No! She was signaling for the title. Right, of course. The ROH World Championship. Brandi kisses the ring, will she soon kissing Cody’s championship belt? They “congratulate” SoCal Uncensored for stealing the show at Supercard of Honor. But they left with absolutely nothing, because the Kingdom stole back “what should never have been taken away” in the first place, the ROH World Six Man Tag Championship belts. The Kingdom consider themselves “the first, the last and the only” Six Man Tag Champions, even though the record books say otherwise. Will they be able to hold on to what isn’t rightfully theirs? Stella Grey VS Sumie Sakai! The WOH Division has its inaugural champion, and this is her first (non-title) match since winning the title. Stella says she’s been studying up and that “you ain’t seen nothing yet”. Will Pennsylvania’s own Woman of Honor defeat the Ray of Sunshine? Jenny Rose joins commentary to watch her mentor. Jenny knows Sumie has a lot of martial arts skill as well in those 21 years of experience, this won’t be easy for Stella, who is only in her first year. The Code of Honor is upheld, and the bell rings. Fans already chant “Women’s Wrestling!” as Stella and Sumie circle. They tie up, Sumie pushes Stella to the corner. Sumie politely lets Stella out, but Stella puts Sumie in the corner. Stella chops Sumie and eggs her on. Sumie gives Stella forearms and a headlock, but Stella slips out into her own. Sumie powers out but Stella dodges, only to run into the dropkick. Fans cheer while Sumie fires up. Sumie climbs up and hits Stella with the missile dropkick! Sumie isn’t done there, she lifts Stella up and hits the Northern Lights suplex, with bridge. TWO, and Sumie is surprised, but she keeps focus. She brings Stella up and hooks the leg, but Stella pops out of the fisherman. Stella runs and SPEARS Sumie! Cover, TWO! Stella almost had the champion, but she keeps her focus. She climbs up top but Sumie stops her with a right. Sumie climbs up now, but Stella fights back. Stella slips down but Sumie stomps away! Sumie backs off at the referee’s count, then runs back in, but into a boot. Stella climbs up again and grabs Sumie, tornado DDT! Stella wants Sumie to stand back up. She scoops Sumie, and throws Sumie with an exploder, plus a bridge! TWO, and Stella grows frustrated. She and Sumie stand up again and they brawl with forearms. Stella gets an edge, then whips, but Sumie reverses and reels Stella in for a saido suplex! Cover, TWO, and Sumie is again surprised. Sumie keeps on Stella, fisherman lift is reversed into a small package! TWO! Stella runs in but into Sumie’s Smash Mouse! The Women of Honor Champion remains spotless in her first match after the tournament finals. But now she’s joined by Jenny Rose in the ring. Jenny congratulates Sumie on being the WOH Champion. She apologizes for not being there to celebrate, but she admits the two of them haven’t always been on the same page. Jenny has footage of the last time they were both in a match together. It was Manhattan Mayhem, a tag team match of Sumie & Jenny VS Tenille Dashwood & Deonna Purrazzo. The moment Jenny focuses on is when Tenille managed to throw Sumie into Jenny. That was an accident, but Jenny seems to take offense. And now Jenny wants to have what Sumie has. Jenny wants to be Sumie’s first official challenger for the WOH Championship. Fans seem to like that idea. Sumie borrows the microphone to respond. “Jenny, you know I love you, right?” Sumie doesn’t want to fight her, but if it’s for the title, she’ll fight. She’s happy it’s Jenny challenging her. Sumie wants to shake hands, but Jenny refuses. They may be friends, but titles aren’t about friends, they’re about winning. Will Sumie and Jenny still be friends after they have it out over the gold? “Bat Matt Taven! Bad!” Christopher Daniels scolds The Kingdom, because he refuses to talk to them like men. They’re not men, they’re children. At Supercard, Kingdom played hide ‘n’ seek and stole those ROH Six Man Tag titles, like some kind of “sorority game” prank. But there are consequences for your actions. Scorpio Sky isn’t sending them to bed without dinner, and Frankie Kazarian isn’t going to slap their wrists. The SCU is going to hurt the Kingdom, and rid ROH of them once and for all. Consequences are coming for The Kingdom, straight from SCU. It was during the Masters of the Craft Honor Club special that The Villain would get even with The Peacock in the Fatal 4 Way Defy or Deny match. Castle makes Scurll physically sick with how he considers himself a world champion. Scurll is once again the #1 contender, and he wants his next title shot at Best in the World. Scurll believes Castle’s days as champion are numbered, but will his second chance work out in his favor? 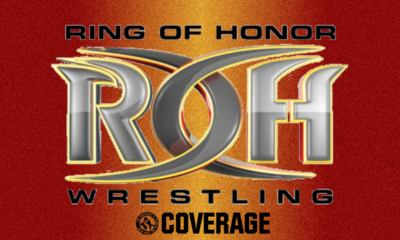 ROH looks back at Supercard of Honor, and the shocking turn of events. Cheeseburger wanted to take on his old familiar foes in The Dawgs, Rhett Titus & Will Ferrara. But he needed a tag team partner, so he asked the Enforcer, Bully Ray, if he would help. Bully accepted, and the two tore into The Dawgs up and down the ring. Then Bully said, “Cheeseburger! Get a CHOKE SLAM!” Bully asked Burger, “Who they Hell do you think you are?” How dare he put Bully on the spot. Burger is what’s wrong with wrestling today. This spoiled generation, from Burger to Flip Gordon, offend Bully. ROH CEO Joe Koff came out to confront Bully for bullying Burger, but Bully didn’t care. He knew Koff wouldn’t do anything. Flip would come out but Bully told him not to move, or Burger gets a piledriver, an illegal move per the Louisiana Athletic Commission that would get the rest of the show shut down. Flip had no choice but to do as the WWE Hall of Fame inductee said. Bully would still powerbomb Burger with all his might, and leave before Flip could go after him. Bully Ray is in Pittsburgh! The Enforcer walks into the ring, and tells the announcer something before taking his mic. Bully says that “a certain portion of the fanbase” is upset with what he did at Supercard of Honor. Those fans let him know they’re present with their boos and jeers, as well as chants for “Cheeseburger! Cheeseburger!” Bully asks them something. “What gives Cheeseburger the right to put a legend like me on the spot?” Cheeseburger represents what Bully despises about the younger generation. A lot of the fans represent that, too. Cheeseburger, Flip Gordon, a lot of “spoiled and entitled” wrestlers, don’t belong in the business, nor do these “spoiled and entitled” fans who think they can just get away with whatever. Don’t test Bully, you know what he’ll do. Bully warns one fan to stop throwing streamers or he’ll jump the guard rail and punch the fan in the face. Someone does, and it bops Bully in the head! The fans chant “YES! YES!” for themselves. “Another problem with this company is Joe Koff.” Yes, Bully’s calling him out. 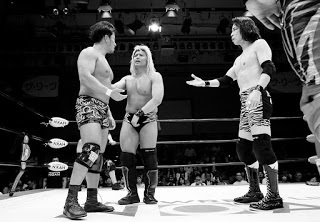 Koff provides the spoiled young wrestlers a platform, despite knowing they don’t deserve to be here. Koff keeps them here because he wants to be the “nice guy”. Do everyone a favor and remember this: Bully is the Enforcer, AND a WWE Hall of Famer, so he’s better than everyone in the building. Bully drops the mic and takes his leave. Will Koff stop being the nice guy and do something about his Bully problem? ROH World Television Championship: Silas Young VS Flip Gordon! The Notorious Hitman, Shane Taylor, joins commentary to watch the main event. The Captain of #FlipArmy beat Shane in the #1 contender’s match a few weeks back, so Shane just wants to see if Flip can make good on this opportunity. Can Flip capture his first ROH title against the Last Real Man Standing? The bell rings and we begin. Flip and Silas circle, tie up, and Silas gets the hammerlock. Flip snapmares him off to a chinlock, but Silas reverses back to the hammerlock. Silas wrenches the arm to a wristlock, but Flip rolls, spins and handsprings to reverse. Fans rally for Flip but Silas rolls and handsprings to reverse the wristlock back. Silas grabs Flip in a headlock, but Flip powers out. Silas runs Flip over but Flip kip-ups, only for Silas to throw him back down by his hair. The referee reprimands Silas but Silas just mocks the fans. Silas runs but Flip ducks under, only for Silas to get the headlock. Flip powers out and follows Silas to run him over. Flip keeps moving, to handstand walk over and headscissor Silas out of the ring. Fans cheer while Flip kip-ups again, then Flip builds speed. Silas moves out of the way, so Flip backflips back into the ring. He takes a bow while Silas glares at him. Silas gets back in the ring, Flip ducks and runs, but Silas dumps him out to the apron. Flip shoulders back in and slingshots over, only to run into Silas’ lariat! Silas is in control of a groggy Flip Gordon while we go to break. ROH returns to Silas punching away on Flip in a corner. But Silas doesn’t like the fans counting along, so he stops at 6. Silas hops down to stomp Flip, then taunt Flip to get up. Flip drags himself up while Silas taunts both him and the fans. Silas dares Flip to be a man, so Flip gives him a forearm shot! Silas makes Flip pay for it by giving him a STIFF forearm shot back. Flip drops to the mat while Silas says “That’s how a man gets it done!” Fans rally for Flip but Silas covers, TWO. Silas puts Flip into a chinlock but fans rally again. Flip endures the squeeze while the fans build to a new rally. Flip feeds off the energy and fights back with body shots. Silas clubs him in the back, then grabs Flip’s hair. Silas goes to drive Flip into a buckle, but Flip blocks to bump Silas first. Flip blocks punches to give forearms, and he backs Silas down. Silas kicks low and whips but Flip reverses. Flip runs in but Silas put shim in the apron. Silas swings on him but Flip blocks to swing kick back. Silas staggers and Flip springboards for the missile dropkick! Fans rally while Flip grits his teeth. Flip runs and blasts Silas to a corner, then really fires up as he runs corner to corner for another! Silas staggers, Flip lifts with a fireman’s carry but Silas slips out. Silas shoves Flip, Flip springboards, for a spear! Cover, TWO! Flip feels he’s close, and fans are still rallying behind him. Flip goes to a corner to climb up, but Silas springs up to stop him. Silas chops Flip, then climbs up to join him. Silas wants the superplex but Flip resists. They brawl, but Silas clubs Flip down to the apron. Silas drags Flip back up, but Flip jumps up for Kinder Surprise! Silas goes down to the ground, Flip builds speed to DIVE! Direct hit, and Silas goes down again! Fans are thunderous for Flip while he climbs back up. Flip takes aim, but has to bail out of the 450 when Silas rolls. He still gets Silas up for the fireman’s carry, Samoan Pop to standing shooting star! Cover, TWO!! Flip grows closer to winning but we go to one last break. ROH returns to Flip bringing Silas up. Flip prepares a suplex but Silas resists. Flip clubs Silas and tries again but Silas powers him into a corner. Silas rams in his shoulder again and again, but then Flip hits back. They trade forearms back and forth, Flip gets an edge and wants the suplex. Silas slips out then boots Flip back. Flip just grits his teeth and runs in, but Silas side steps to then German Suplex Flip down. But Flip’s right back up! Flip swings but Silas ducks, Flip runs into the backbreaker and lariat! Silas suplexes Flip and uses the ropes to help in a hanging, swinging neckbreaker! Cover, TWO! And Silas can’t believe it. Fans rally for Flip again while Silas works on what to do next. Silas drags Flip up in the full nelson, but Flip slips out to roll him! TWO, Flip’s superkick misses and Silas lifts him in the fireman’s carry. Silas hits the rolling senton, then prepares himself for the Plunge, but Flip rolls him away. Flip runs, springboards and spins, but Silas catches him into the full nelson! Silas swings Flip but Flip avoids the knee to roll Silas up again, TWO! Flip SUPERKICKS Silas, a la his new friends in the Young Bucks. Flip suplexes for the Falcon Arrow and cover, TWO!! And Flip cannot believe it! Silas rolls out of the ring while Flip argues with the referee, and fans agree, “That was Three!” But Flip has no choice but to go fetch Silas. Flip brings Silas up and into the ring, but Silas clings to the referee. Flip reenters, and Silas kicks the rope to low blow Flip! Silas uses the small package, TWO!! Now Silas is shocked. Fans keep cheering Flip on while Silas argues. Silas glares down at Flip, “You don’t know when to give up, do you, Flip?” He dares Flip to get up, Flip throws forearms and chops! Flip fires up, but he ends up in the full nelson knee! Silas lifts Flip up, spins around and hits Misery! The Last Real Man retains in a mostly fair and square match, but at least he did it alone. Will this two-time ROH TV Champion continue his reign by any means necessary? Will Flip ever find his way back to title contention? Another solid episode for the first episode of ROH TV truly post-Supercard. It seemed rather full of promos, though. The promos were all good, but it seemed like more than normal for ROH. The highlight reel did great to get people caught up if they missed any of the developments. 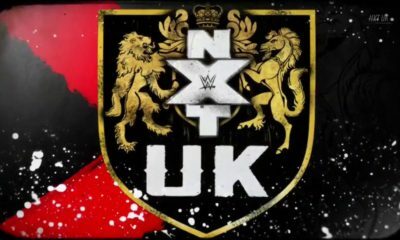 Kingdom VS SCU as a rare Heels VS Heels program should be good, and will settle who really should have those Six Man Tag titles. Cody wants after the world title again, but Scurll also has another shot. 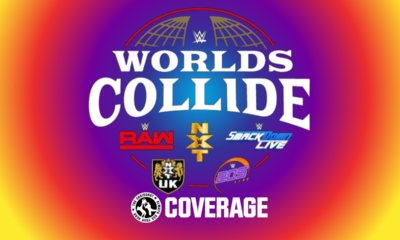 I wonder if the world title will cause a rift between Cody and Scurll to further complicate the Bullet Club story. Chuckie T and Woods have a good opening match, and Chuckie is clearly over with fans. Woods might consider going Heel in the near future, fans might respond to him better that way. Speaking of going Heel, Bully went Heel hard with Supercard and tonight. 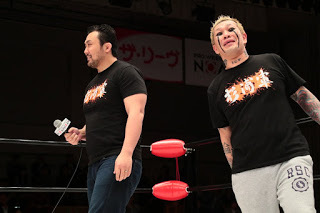 He lords his WWE status over ROH, which is a smart play because while ROH fans love Bully, they tend to dislike WWE, so this gets him easy Heel heat while going after the younger and fan-favorite wrestlers. He keeps naming Flip Gordon, and that’s appropriate as Flip is truly becoming a star. Flip didn’t win but that was a great match with Silas. Not only that, but Flip knows how to sell. I’ve never seen anyone sell being dizzy quite like Flip did after that lariat. He’ll definitely get that TV title some day, and this story with Bully should help build him up even more for that. 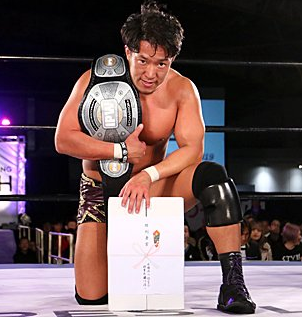 It’s also great to see the WOH Division again without it being their own special, I hope this trend continues now that they have a title to fight for. Cedric Alexander VS Cesaro; wins. WWE Universal Championship #1 Contender Qualifier Triple Threat: AJ Styles VS Rey Mysterio VS Samoa Joe; wins and advances to the main event. WWE Universal Championship #1 Contender Qualifier Triple Threat: The Miz VS Drew McIntyre VS Baron Corbin; wins and advances to the main event. WWE Universal Championship #1 Contender’s Match: ??? VS ??? 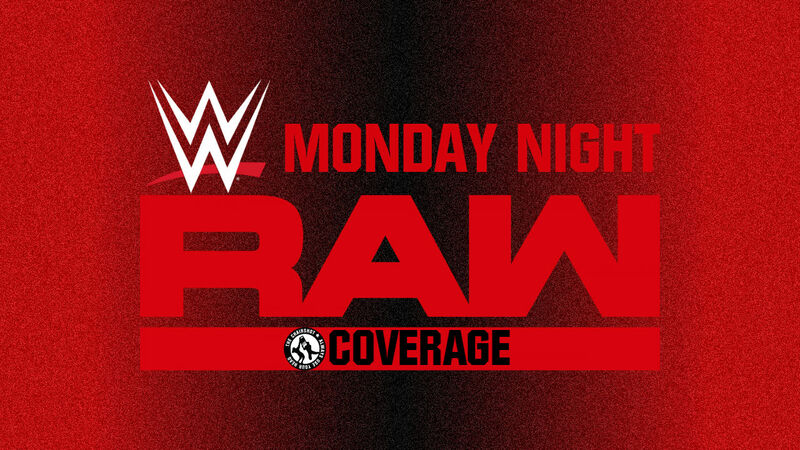 ; wins and will challenge Seth Rollins for the title at Money in the Bank.